Bijapur Bulls will take on Hubli Tigers for the Second Semifinal match of Karnataka Premier League, 2018 going to be be played on 5 September 2018, Monday at Srikantadatta Narasimha Raja Wadiyar Ground, Mysore. 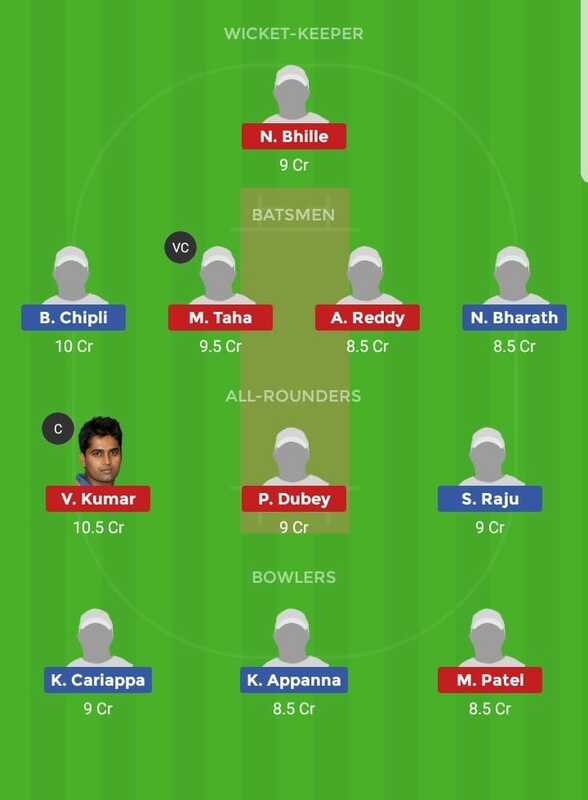 BIJ Vs HT 2nd Semifinal Dream11 prediction KPL 2018 is given in this post with all key stats. Ronit More can play in place of Suraj Kamath. Mayank Aggarwal will not play as he is playing for India-A Side. 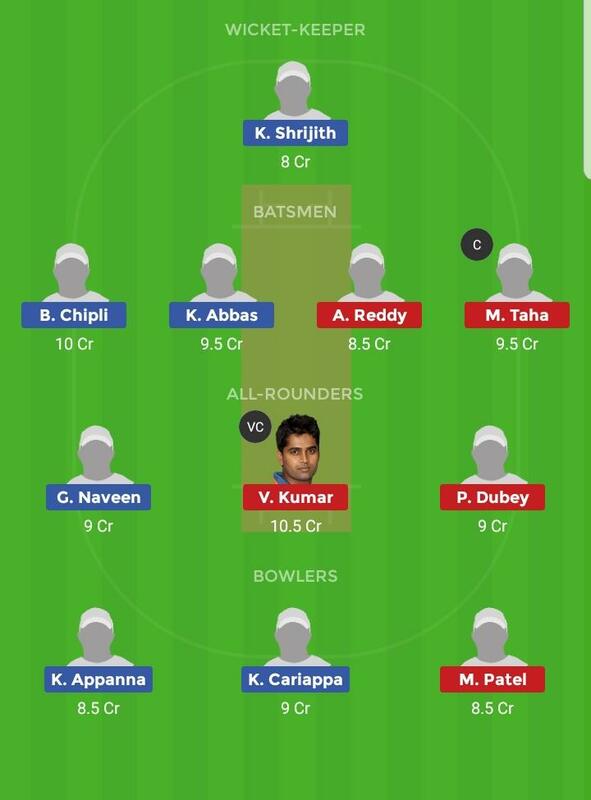 KP Appanna, Bharath Chipli (c), Suneel Raju, Shishir Bhavane, KC Cariappa, Naveen MG, KN Bharath, Mir Kaunain Abbas, Bhavesh Gulecha, KL Shrijith (wk), Suraj Kamath, Ronit More, Zahoor Farooqui, Anurag Bajpai, Rishabh Singh, Amar Ghale, Majid Makkandar, Ruthraj..